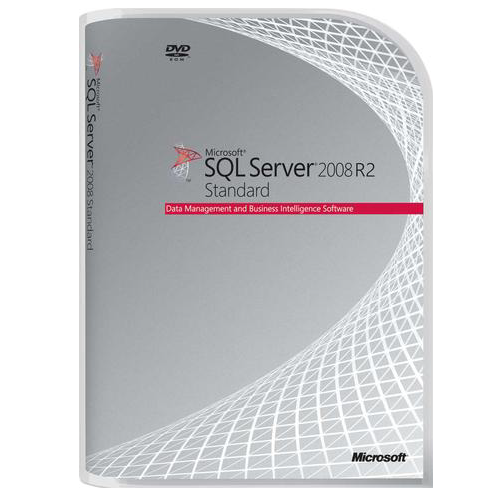 SQL Server 2008 R2 Standard delivers a complete data management and business intelligence platform for departments and small organizations to run their applications, helping enable effective database management with minimal IT resources. The following capabilities are new to Standard: Backup Compression to reduce data backups by up to 60% and help reduce time spent on backups* Can be managed instance for application and multi-server management capabilities High-scale complex event processing with SQL Server Stream. Insight Built on the strong foundation of SQL Server 2008, SQL Server 2008 R2 delivers several breakthrough capabilities that will enable your organization to scale database operations with confidence, improve IT and developer efficiency, and enable highly scalable and well-managed business intelligence on a self-service basis for your users. Allows administrators to centrally monitor and manage multiple database applications, instances, or servers Empowers business users to build and share powerful business intelligence solutions with little or no IT support, while still enabling IT to monitor and manage user-generated business intelligence solutions.